Schematics is a workflow tool for the modern web; it can apply transforms to your project, such as create a new component, or updating your code to fix breaking changes in a dependency. Or maybe you want to add a new configuration option or framework to an existing project. 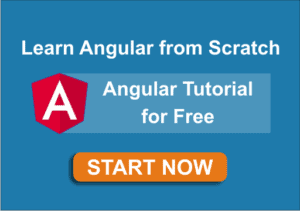 Angular CLI comes with very useful schematics to generate an application, component, service, module and many more. 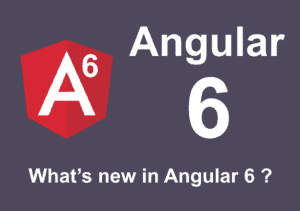 In Angular CLI 6, ng add command was introduced. ng add adds the npm package for a published library to your workspace, and configures your default app project to use that library, in whatever way is specified by the library’s schematic. For example, adding @angular/pwa configures your project for PWA support. 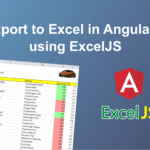 Here is the list of external library angular schematics which helps you to improve application development speed and productivity. To configure angular material design in your application generally, you need to follow four to five steps as mentioned in official angular material get started document. But thanks to angular material schematics, using this you can configure the whole setup just by executing below command. Executing this command will perform the following action. 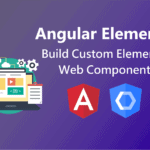 In addition to schematics for installation, Angular Material comes with the schematics for predesigned components like dashboard component, navigation component, address form component etc. Execute the below command to generate predesigned address form component. This command generates the component with given component-name and includes the predesigned form with the angular material form field, radio button, and button component. you can customize this form as per your requirement. 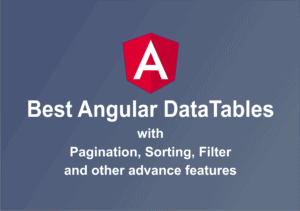 Table schematic generates the component that renders an Angular Material <table> which has been pre-configured with a datasource for sorting and pagination. Dashboard schematic generates component with dynamic grid list of material design cards. Tree schematic generates an angular component that uses the Angular Material <mat-tree> component to visualize a nested folder structure. Drang and drop schematic is a part of @angular/cdk, this schematic generates an angular component that uses CDK drag and drop directives. Generally, you need to follow below steps to manually install and configure the clarity design system as mentioned in get started. Install @clr/icons, @clr/ui, @clr/angular and @webcomponents/custom-elements package. But using clarity design system angular schematic, you can configure the whole setup just by executing below command. 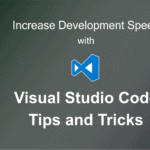 Executing this command will perform all the above-mentioned action which you need to do manually. Note: If you are using the Angular CLI with multiple projects, you can specify which project to add Clarity to by using the --project PROJECTNAME flag. Clarity design system also provides an angular schematic to update it in order to keep up to date. 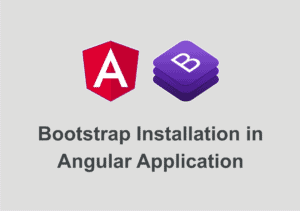 Ngx-bootstrap provides the following schematic to install it in Angular Application. 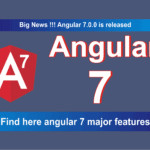 Executing this command will update your Angular project with the necessary ngx-bootstrap dependencies, make changes to package.json, angular.json and will execute initialization code. same as above it also provides commands for other components. Using below command you can add progressive web app support in your angular app. Adds the @angular/service-worker package to your project. Enables service worker build support in the CLI. Imports and registers the service worker in the app module. 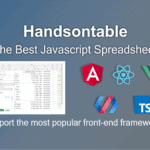 Includes a link to add the manifest.json file. Adds meta tags for theme-color. Installs icon files to support the installed Progressive Web App (PWA). Creates the service worker configuration file called ngsw-config.json, which specifies the caching behaviors and other settings. NgRx Schematics gives commands to generate Store, Action, Reducer, Container, Effect, Entity and Feature. For example, following command generates the action with given ActionName. NgRx Schematics installation is a little different than the above libraries. Refer NgRx Schematics overview for more details. To use NGXS Store in an angular application, NGXS provides schematics. You can install it using below command. It provides schematic to generate Store, Action and State, along with this it also gives starter-kit schematic. For example, use below command to generate Store. NgMomentum provides schematics to generate CRUD operation views with its components and services. You just need to pass model and API URL as a command line. It also provides a schematic to generate view, value object, model and service. To generate CRUD components with service, you just need to execute below command. You just point this to an endpoint or state the object structure and it creates a full CRUD operation against your endpoint create for consumption.